Cleveland of late has been splashed all over the headlines for obvious reasons. 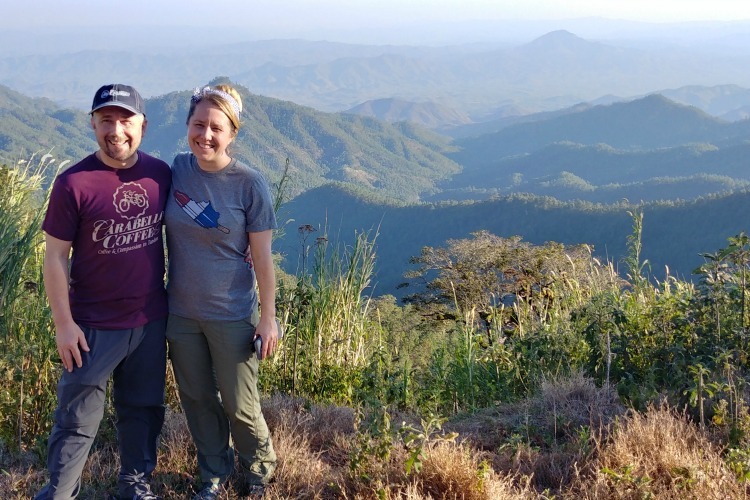 In the mix, we've gotten our fair share of travel coverage. Travel + Leisure named the 216 a Best Place to Travel and Fodor included the CLE in its 2015 Go List. Just last week, the New York Times spent 36 whirlwind hours here. And while we appreciate the nice press, these sorts of articles mostly hit the high notes – the West Side Market, the Rock Hall, the Cleveland Museum of Art – all of which are worthy grand dames before which we bow in reverence. National press, however, rarely peeks in the corners. Fresh Water is about to remedy that. This list is about the other stuff: the weird, the overlooked, the hidden, the has-been and even the naked. We'll go so far as to assert that few Clevelanders could enumerate these entries. No matter. 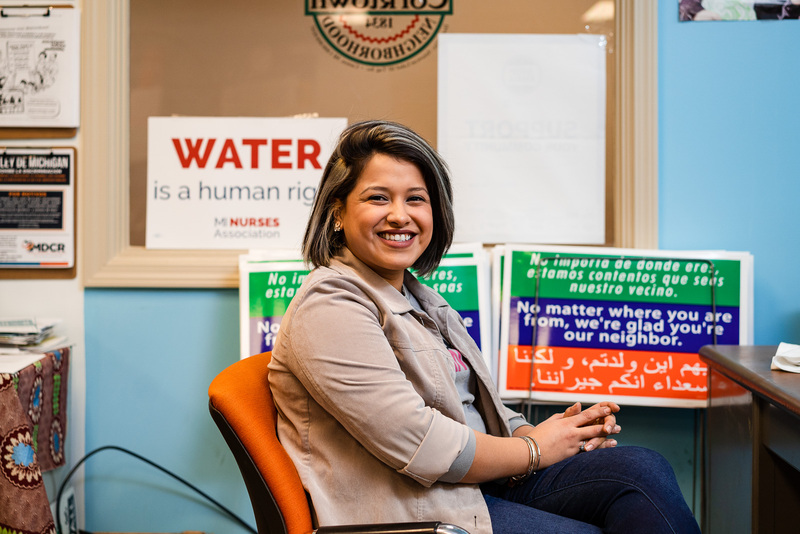 Fresh Water has rounded them up for curious newcomers (we hear there are a few on the way) and any local tour guides upon whose talents are called upon in about ten days or so. 1. Clevelanders who regularly attend the quintessential local art experience, 3rd Fridays at 78th Street Studios, probably pass by this stocky structure with nary a glance. Enjoy U is that humble white brick building with blue trim nestled on the corner of Lake Avenue and West 78th Street. As denoted on its façade, Enjoy U was built in 1911. 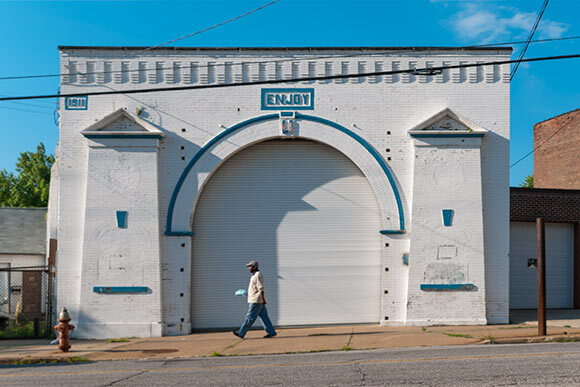 Take a closer look at the two brick details on either side of the arch. Those were originally ticket windows from which local dandies and their dates would procure (obviously) tickets … to the silent movies that were shown inside. Yes, the Enjoy U was originally a silent movie theater. 2. 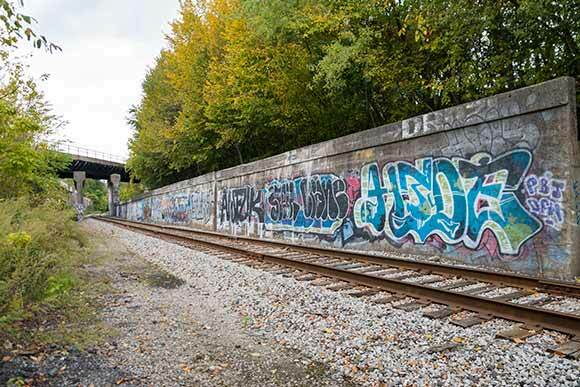 Train Avenue stretches just two miles between Clark Avenue and Scranton Road, wherein it ambles alongside various train tracks. It is at once hidden from the city and right in the middle of it. Industrial sites, both abandon and actively belching, dot this snaking length, as do a handful of residential lots, driveways to nowhere and patches of crumbling asphalt. Thick with foliage in the fairer months, the corridor is where the sinister guy in the black cloak would hide bodies. Train Avenue is just strange. But it is not without hope. Amid the copious graffiti, there is a singular message stretched across the concrete of one of the underpasses: "Keep the Neighborhood Pulse Alive and Strong," it pleads. 3. One of the indelible details of the 1980s is the art of Keith Haring. While his body of work is extensive and complex, nearly everyone who danced through that decade is familiar with Haring's frenetic and simplistic figures, which even made an appearance at this year's Parade the Circle. 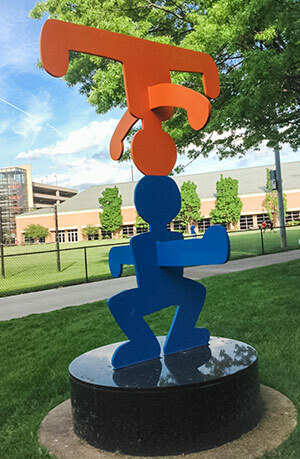 Unless Clevelanders have strolled through the heart of Case Western University's campus, they probably don't realize the 216 is home to a friendly Haring sculpture. The 1986 Acrobats is near the entrance of the Glennan Building by Van Horn Field. The orange and blue figures take on a different shape from every angle. Once you visit them, they'll become two of your favorite locals. 4. The National City Bank Building (formerly known as the Guardian Bank Building and the New England Building) on the northeast corner of East 6th Street and Euclid Avenue hails back to the 1890's, when architects Shepley, Rutan and Coolidge designed the original building, part of which is now occupied by a Holiday Inn Express. A major addition about 30 years later makes the NCB sort of an odd historic complex, stretching around the block bordered in the rear by Short Vincent. On the front of the building, however, lives one Cleveland resident that is, well, gloriously in the buff, call him Downtown's Naked Man. 5. Most northeast Ohioans have seen the singular late night commercials for Norton Furniture featuring president Marc Brown that were an inside Cleveland thing in the 00's. Some may have even seen the positively surreal 2013 MOCA Cleveland installation featuring Brown by Jacob Ciocci (you can watch the associated video "The Sales Man" in its entirety here). 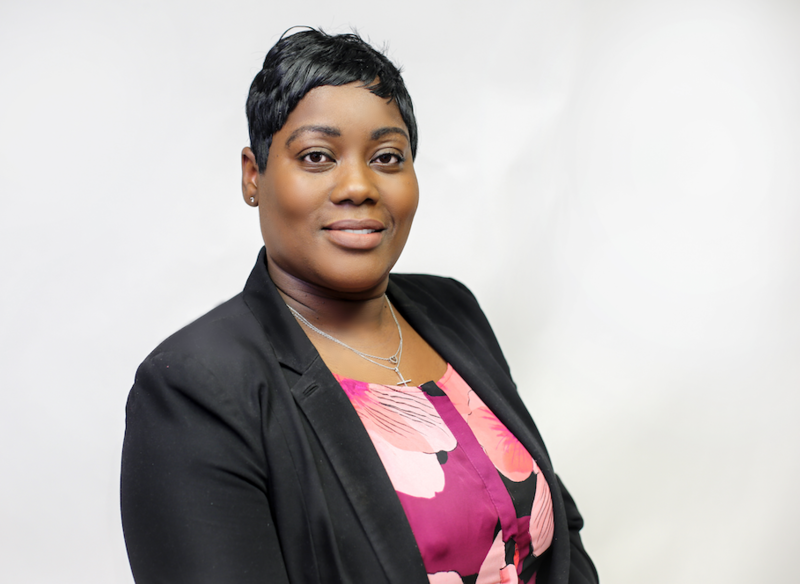 But unless they've gone to the brick and mortar establishment at 2106 Payne Avenue, they haven't experienced the Full Norton, as it were. In addition to the array of sofas, bedroom sets and occasional chairs, the sprawling three-story affair is home to an unusual cast of characters. Try the Blues Brothers, Mike Tyson, Father Christmas, a giraffe and Betty Boop – just to name a few. 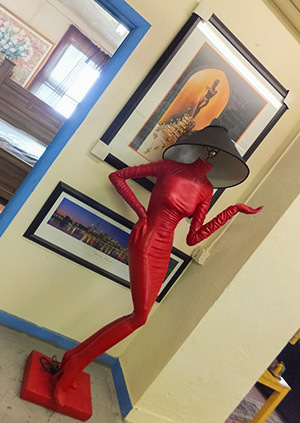 "I've got about 30 of these characters in my store," says Brown of the mannequins. "Doesn't my store look nice?" he asks, but it isn't really a question. In addition to dressing the place up, the figures serve another purpose. 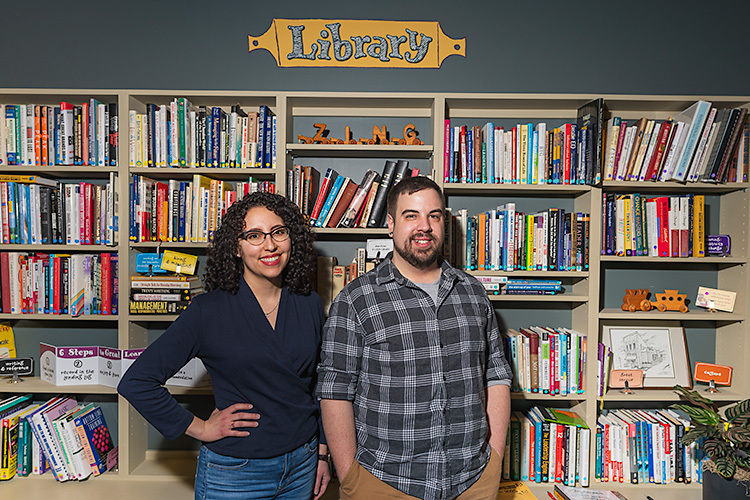 "Children take their parents here to buy furniture," says Brown, adding that Norton experience is unlike run-of-the-mill furniture shopping, which can be boring. "There's a method behind my madness," he says. "I know what I’m doing." 6. Next time you want to stretch your legs at lunch, saunter over to the intersection of W. Prospect and W. 3rd. 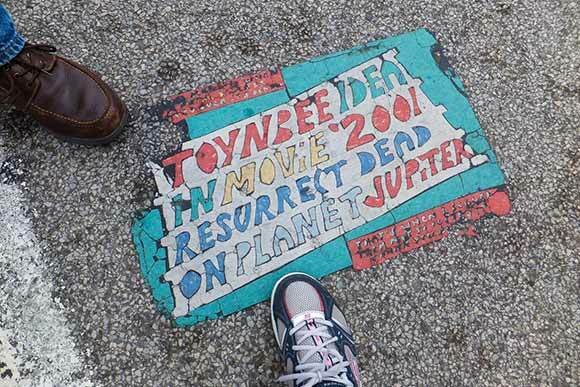 That strange thing embedded in the asphalt that you've never noticed before is the Cleveland Toynbee Tile. It's part of one of the world's most enduring mysteries that includes hundreds of such tiles scattered across the globe. They typically instruct passers-by to "Resurrect Dead on Planet Jupiter" as part of the "Toynbee Idea." Nobody knows who laid the tiles, which started appearing in the 1980s in Philadelphia. Some believe the Cleveland tile, however, might have marked the end of the crusade. "To my knowledge, it's unique in the world because it contains what sounds like a farewell message," explains self-proclaimed Toynbee geek Frank Lewis, referring to the "Thank you and goodbye" portion of the tile, parts of which are no longer readable. "Did the tiler come here to Cleveland?" muses Lewis. "Stay in a hotel? Go out at night and put down his tiles? Did he choose Cleveland for his farewell message?" As you can see, once you've bitten down on the Toynbee root, it's hard to let go. Might as well go and add the movie to your Netflix queue. 7. Enter the door of 700 W. St. Clair and you'll find yourself in the Hoyt Block Building atrium, an inviting and airy space that's open to the public and perfect for coffee breaks and brown bag lunches. 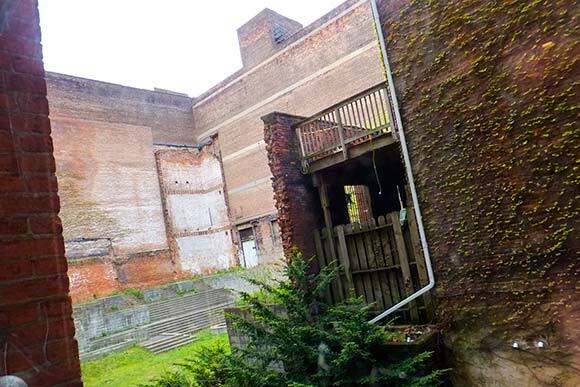 The confounding space showcased in its rear windows, however, is one of the oddest things you likely will encounter downtown. Open to the sky and nothing else, it's defined by a host of buildings that face the other way, as if they'd rather not look upon this architectural donut hole. In it, a grand set of stairs leads to nowhere. A brick wall crumbles in a corner amid random foliage. Boarded up windows tell no tales. Call it an urban ruin that dreams of one day becoming a courtyard. 8. On May 12, 1975, the Collinwood house and office of notorious mobster Danny Greene was rocked by a malicious bombing that destroyed the building at 15805 Waterloo Road. For anyone who has seen the movie, Kill the Irishman, the rubble depicted therein from which Greene, then 46, and girlfriend Denise Schmidt, then 18, emerged from wasn't nearly as incredible as the actual scene. It was the second bombing attempt on the gangster's life. 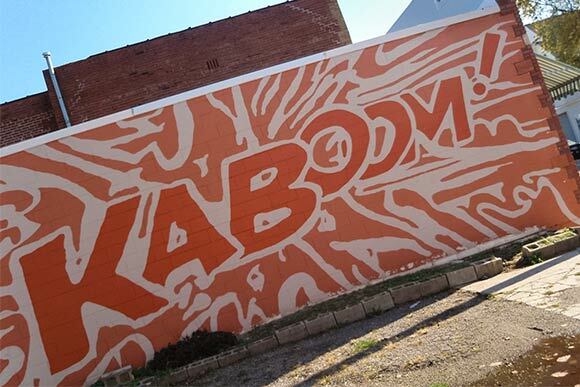 All that's left – and perhaps fittingly – is the KABOOM mural adjacent to where the house once stood. As for Greene, the mafia finally took him out in October 1977 with a car bomb in the parking lot of a completely unremarkable building adjacent to I-271 in Lyndhurst at 29001 Cedar Rd. 9. There are myriad reasons to step into the 5th Street Arcades, including the decadent options at Colossal Cupcakes, lady-killing apparel selections from Kilted Bros (however thrilling that link is, it is not entirely safe for work), ultra-premium eats for Fido and Fluffy at CLEpets and a host of other delights. But whatever you do, you simply must take a spin in one of those weird tipsy/curvy/roly-poly pushpin chairs. 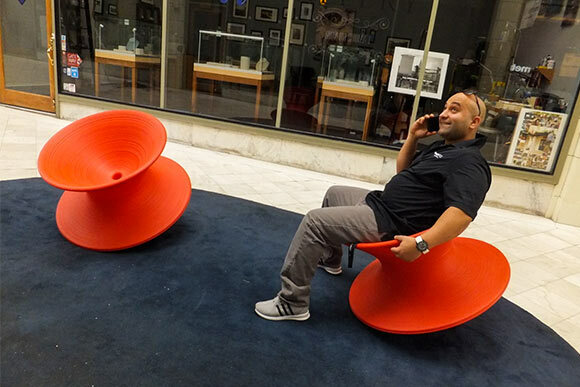 Adjacent to the Fra Angelica Studio near the Euclid Avenue entrance, the Spun Chairs are a Thomas Heatherwick creation for Magis that will make you, well, wiggle, giggle and generally act like a nine year old. Take heed, however: if you decide you simply must have one for your very own, it'll run you about 700 clams. 10. Stair A in the Museum of Contemporary Art Cleveland (MOCA) tethers together all of the exhibitions in the internationally acclaimed venue. But this isn't your run-of-the-mill transportation-minded set of risers. An audio installment constantly plays in Stair A, which sounds innocuous enough, but the experience is anything but. 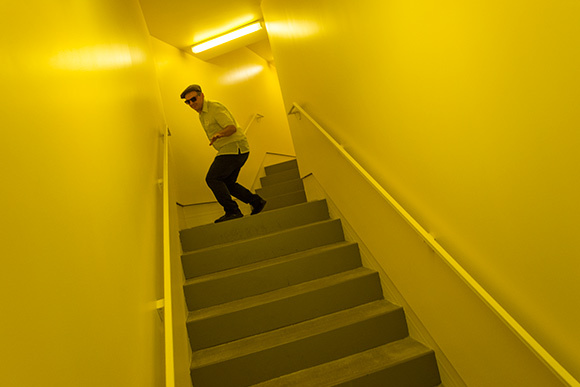 These steps unfold amid disorienting bright yellow walls that twist and turn. Even Alice would have a time navigating the winding and twisting affair. Hence the route from point A to point B in this would-be audio theater is at once aural, physical and asymmetrical. Stair A is one of Cleveland's strangest and most wonderful places. Through this summer, it features a lagniappe – a little extra gift – that is in addition to the stunning main exhibition, Mark Mothersbaugh's Myopia. Audio clips from the DEVO co-founder include "My Finger Slipped," "Secret Library" and "well, son of a gun!" Notably, during the Republican National Convention, all delegates who present their credentials are eligible for a BOGO admission to MOCA, or perhaps more aptly, a BYFRFF offering (Bring Your Fellow Republican For Free). Call that a prize for completing the scavenger hunt.